Speech and language impairments include any disorder or condition that interferes with normal development and learning in these areas. Some speech and language pathology may have physical causes, such as a head injury or brain damage from other causes. A cleft palate, deafness, and other physical disabilities can affect your language and speech abilities. 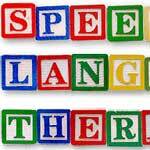 Speech disorders are one type of speech and language pathology. These conditions prevent you from producing sounds correctly for proper speech. Stuttering, replacing the correct letter in a word with another one, and difficulty with specific sounds or letter combinations are common examples of these conditions. Noticing speech and language pathology early on is crucial for the best treatment success with most individuals. Developmental delays may be noticed as early as one year of age, and if you notice that your child is behind in language or speech abilities you should arrange for a consultation and evaluation by a specialist in this area. Speech therapy techniques can help many speech and language problems. Stuttering can be minimized or eliminated completely, and if you have dyslexia changing the way you look at words can be learned with therapy. Even autistic children who are severely limited may see some benefit from this type of treatment. Regardless of the type of speech and language pathology you or your child suffer from, there are treatment options available that can help you with these issues. Some of these disorders can have a profound effect on learning, and may get worse without therapy and treatment. Many schools have specialists in this area to identify high risk children for these conditions.